~One lucky winner will win an Essential Witch Protection Kit! Don’t get caught with Mother Shipton or one of her cronies without protection. The EWPK comes with a protection candle, amulet, salt to fight those nasty spells, and more! What’s up for grabs everywhere else? 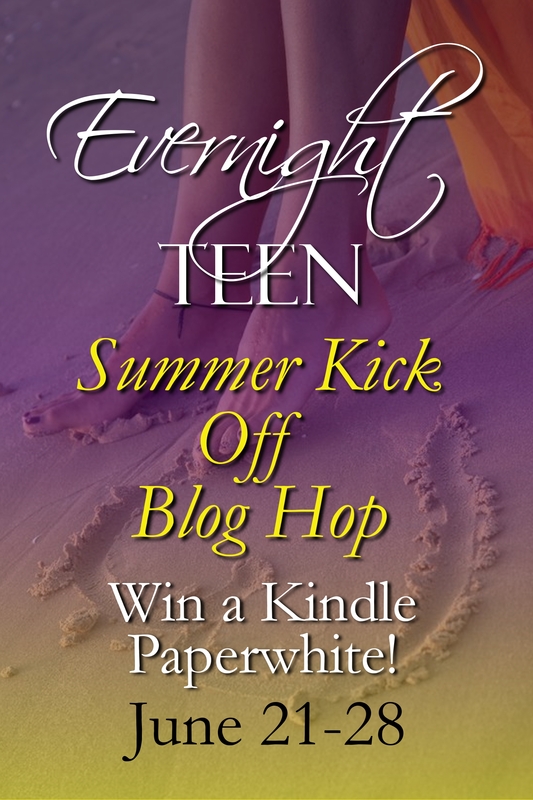 One lucky hopper will win a KINDLE PAPERWHITE eREADER sponsored by Evernight Teen. Every book blogger/reviewer site is giving away one free eBook from Evernight Teen (winner’s choice of any eBook from Evernight Teen’s website). How to win the EWPK? Answer this question: What’s your favorite witch book? Be sure to leave your answer and your email address in the comments below to be eligible to win the prize. I’m giving away a copy of Blood Hex on Goodreads! Enter here for your chance to win! BLOOD HEX COMES OUT TOMORROW!! Posted in Blood Hex, Contest and tagged Blood Hex, contest, Goodreads. Bookmark the permalink. Welcome to Evernight Teen’s Valentine’s Day Blog Hop! Would you like to celebrate Valentine’s Day with free books? You would? GREAT! How about a super secret snippet from my upcoming debut novel, Blood Hex? *sees everyone nodding their heads* AWESOME! You are definitely in the right place. It just so happens that I am celebrating Valentine’s Day with my fellow author peeps from Evernight Teen! Each of my talented publishing buddies is releasing a teaser from their book, as well as giving away a prize on their blogs! Join the fun! My super secret snippet is below. All you have to do to win a $10 gift card from either Amazon or B&N is read my teaser and then answer the following question: What is more “Sarah’s scene back home”? Answer in the comments below and I will draw one randon winner to win the gift card! Happy reading! Drake’s idea of total normal teenager fun involved a bonfire in the woods. And a party. I could go for a party. I peered down at myself, noticing we somehow exchanged fashions. I wore a plain white v-neck over blue jeans and sneakers, liking the fact I didn’t have to wear heels every time I went out. “You look nice,” I told him. Groups stood near coolers and passed around drinks. Some swayed back and forth to music, and more than a few made out along the fringes where the firelight barely reached. Now this reminded me of home. Except for the forest part. Sneaking out to beach parties was more my scene back home. Who knew, forest parties could be fun too. “What do you want to drink?” Drake asked, hopping out of the SUV. Drake led me over to a cooler. He said hey to a few friends as they parted, leaving us a straight shot to raid the drinks. Beer. And a lot of it. “I didn’t know you rolled like this,” I joked. “The bottle.” He opened it for me and I took a sip, face puckering. I’d much rather have a fruity daiquiri or wine. The heat of the fire drew me closer. I used to go camping with Jamie and her family until we grew out of it at about the age of thirteen or so. Ah, thirteen, the age where you start to question everything. The age when I realized my mother was a joke. “What are you smirking at?” Drake asked. I threw the stick in the fire and downed the rest of the beer. It went down easier than taking little sips. Drake put his arm around me and squeezed. I lifted my chin and stared at him. His eyes mirrored the flames before he closed them and moved closer. I let him, meeting him in the middle. My kiss was eager, more romantic than friendship like the last time we kissed. I kissed him like I wanted to earlier when we laid on my bed. When our hearts beat together. When his lips looked so soft. They were soft. “I know.” I put my fingers around his neck and pulled him to me, kissing him again before turning back to the blaze. Don’t forget to visit Evernight Teen’s other authors to win more prizes! Also, check out the blurb for Blood Hex on Goodreads and add it to your to-read list! The blog hop runs until the 17th, so don’t forget to spread the word. Posted in Blood Hex, Contest, Evernight Teen and tagged blog hop, Blood Hex, contest, Evernight Teen. Bookmark the permalink.